Varicose (derived from the Latin root "varix" which means twisted) simply means swollen. At Dallas Vein Specialists we want each patient undergoing a vein procedure to experience as little discomfort as possible. We find that more and more patients want no pain and minimal anxiety, and we offer IV anesthesia for them. Patients undergoing IV anesthesia receive a short acting anesthetic agent and experience no discomfort. 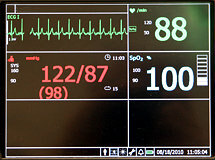 Vital signs including blood pressure, pulse, ECG, and blood oxygen saturation levels are carefully monitored. We have used IV anesthesia, a safe in-office surgery option, extensively with good patient satisfaction. Patients recover quickly, but we do require that a friend or family member drive them home. For patients who do not wish to be completely “out” during the procedure, we offer mild oral sedation with or without nitrous oxide/oxygen gases delivered by a nasal mask. Patients remain conscious throughout the procedure, but pain, discomfort, and anxiety are reduced. Patients who receive only the nitrous oxide/oxygen gases may drive themselves home, as the nitrous oxide is rapidly eliminated after only a few minutes. Local anesthesia is always used either as the only anesthetic if the patient desires or in addition to other agents. Instillation of the local anesthetic into the skin may be uncomfortable for brief periods. Use of additional anesthetic techniques such as IV anesthesia removes this discomfort.